On the eve of the national exam for ninth graders, Firmin Vyumvuhore, chairman of the national commission in charge of the national test in Fundamental School, has said all the test kits have already reached their destination throughout the country. “We are ready. Test papers are now in all the communes and are to be distributed from this Tuesday,” said Vyumvuhore before adding that 99.025 candidates will sit for the test in 1015 centers. “Each candidate knows his/her identification number and the center where the test will be administered. “Those who didn’t see their names on the lists have made claims”, he has said. At “Lycée du Saint Esprit” located in Ntahangwa Commune, north of Bujumbura, candidates and teachers have said they are ready for the national test. Noella Inamigisha, a 9th grader, says teachers have helped them revise their courses. “We are not afraid of the test. We revised sufficiently and are sure that we will pass it”, she says. 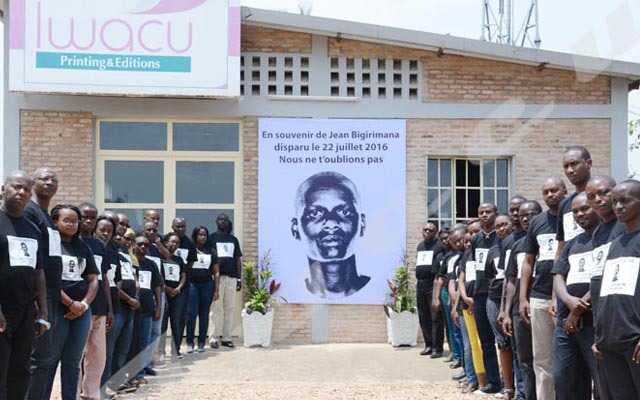 The same view is shared by Floribert Iteka, a 9th grader at “Lycée Vugizo” in the Burundian capital. “We have nothing to worry about as we did sufficient exercises”, he says. Nestor Nisubire, a headmaster at Kinindo Fundamental School in Bujumbura, says his candidates will make it in the test as they did various training exercises. “I don’t doubt that they will pass the national test,” he says. The 2017-2018 national test, which gives access to post-basic education, will take place from 5 to 7 June throughout the country.